With this Latvia travel guide I want to help you to prepare for your trip to Latvia. Whether you will be traveling to Latvia independently or with a group. 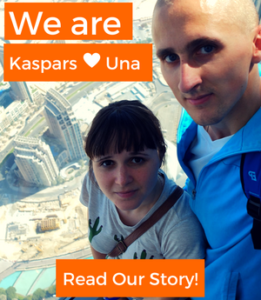 To read more about Latvia check out these articles! Latvia, my homeland, is a country in the north of Europe, with Russia to the east, Lithuania, Belarus and Poland to the south, and Estonia to the north. Because of its geographical location, at the crossroads between Northern and Eastern Europe, Latvia has always been interesting to others. As a result there have been many different rulers in the last 800 years. However now Latvia is an independent country, a member country of the European Union and the Schengen Area. Latvia’s coastline, most of it undeveloped, extends for more than 500 kilometers. About one half of the country is covered with forests, making Latvia one of the greenest countries in the world. Continue reading and you will learn all the basic and at the same time most important things (for travelers) about my homeland! Located in the north of Europe, Latvia borders with Russia to the east, Lithuania, Belarus and Poland to the south, and Estonia to the north. 2. What’s the capital of Latvia? 3. What language do they speak in Latvia? 4. What currency does Latvia use? Since January 1 2014 we use euro. 5. Do I need visa for Latvia? Latvia is a Schengen country, member of European Union. You’ll need to apply for Schengen visa in order to travel to Latvia. That’s if you need visa to travel to Schengen countries. Scroll down to read more about it! 6. What’s the population of Latvia? 7. What’s the territory of Latvia? – Where and How to Apply for a Schengen Visa? Latvia Travel Guide: What to Do in Latvia? 4. What to Do in Latvia? More than half of Latvians speak 3 languages – Latvian, English and Russian. English for most of us is the second language. We all are learning it at school and university. Since 1/4 of Latvia’s population are ethnic Russians – Russian is widely spoken as well. Even though so many people in Latvia, especially in Riga, can speak at least basic English, I can’t say, that it’s widely used in Latvia. For example, in public transport it’s highly possible that driver will not speak English, and there will not be any announcements in English, only in Latvian. But again in Latvia you can be sure, that whenever there will be such a need, you will be able to find an English speaking person, who can help you out. Latvia is not an expensive country to travel. And since 2014 our currency is euro. Especially when we compare prices in Latvia to prices in Scandinavian countries, which are so close. Food, public transportation, accommodation,… all of it in Latvia costs similar like in the cheapest countries of Europe. It is always possible to get something like a burger, shoarma (in Latvia we call it kebab), salad, slice of pizza, sandwich or soup for about 1.5-3 euro. While full lunch or dinner in Latvia will set you back 4-6 euro. Of course, there are also more expensive options, and that’s not hard to find them. But in any case, in Latvia it is also possible to eat good food and in nice places paying just a fraction of what you would pay in many other European countries. Traveling on a very tight budget and cooking all the time on your own you may notice, that shops like Lidl and Aldi, particularly in the Netherlands and Germany, have better prices for groceries that similar shops in Latvia. I can agree with you. In Latvia we don’t have these particular supermarkets. Most popular supermarkets in Latvia are Rimi, Maxima and Supernetto (the latter being the cheapest one). Traveling by bus or by train in Latvia a journey of about 100 kilometers will cost about 5 euro. In Latvia you can pay for almost everything with a bank card. I find it very convenient. When we are in Latvia I almost never have more than 5-10 euro in cash in my wallet. And I rarely use ATM’s. Because you don’t need it in Latvia. Everyone is paying for everything with a bank card. Are you looking for things to do in Latvia? Need a guide? Check out these tours and this list of activities! In fact, Latvia has one of the fastest internet speeds in the world. Having a broadband connection with download and upload speeds between 100 – 400 Mbps isn’t something extraordinary in Latvia. 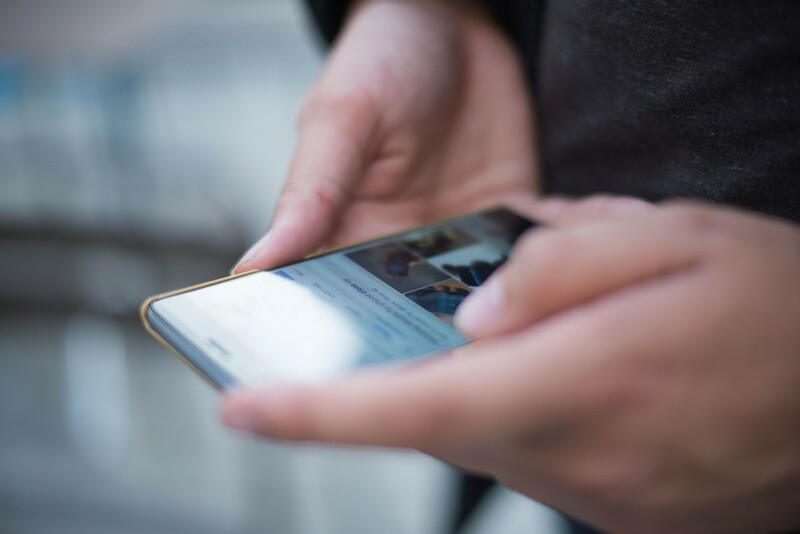 All mobile service providers in Latvia have 4G networks, which means that you can have a super fast internet (20 Mbps and more) on your smartphone or tablet as well. Speaking about the prices of mobile internet, they are similar for all mobile service providers in Latvia. For example, with Bite Latvija you can get 2 GB of mobile internet + unlimited calls and SMS for 11.15 euro, while the same plan with 6 GB will cost you – 14.71 euro, and with 10 GB – 16.84 euro. You don’t have to pay extra for 4G in Latvia. Bite Latvija, LMT and Tele2 are the biggest mobile service providers in Latvia. None of them have a website in English, but don’t worry, most of their staff in stores speak at least some English. Finding free and stable WiFi in Latvia mostly isn’t a problem either. Similar like with most of European countries, it’s not a problem to get to Latvia. Bus and plane are 2 of the best options. It’s also possible to get to Latvia by ferry, but only from a few cities. 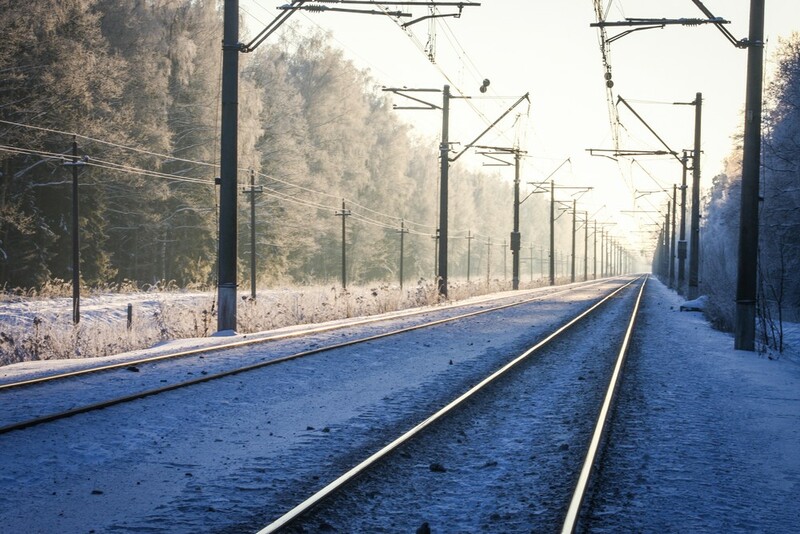 If you prefer train, note that currently Latvia has international railway connections only with Russia and Belarus. From Stockholm, the capital city of Sweden, there are overnight ferries to Riga, the capital of Latvia. From Travemunde, a town in Germany, there are ferries to Liepaja. And from Nynashamn, a town in Sweden, there are ferries to Ventspils. Both Liepaja and Ventspils are average-sized cities in the western Latvia. If you are traveling from Lithuania or Estonia to Latvia, then bus will be the best choice. There are direct buses connecting all the biggest cities of the Baltic states. Comfortable buses run frequently, several times per day. A journey from Tallinn, the capital of Estonia, to Riga by bus takes about 4 hours. Vilnius – Riga takes about the same as long. There are direct buses also from other countries. Only keep in mind, that these trips will be longer. Most popular routes: Riga – Saint Petersburg (Russia), Riga – Moscow (Russia), Riga – Minsk (Belarus), Riga – Warsaw (Poland). We recommend Lux Express. You can buy bus tickets from their website! For more options check out the website of Riga International Coach Terminal. Sadly, but only part of it is translated in English. From almost any place in Europe it is possible to get to Latvia by plane within just a few hours. We have only one international airport in Latvia. It’s Riga International Airport – RIX. And currently, in June 2017, there are 17 airlines operating from there. Europe’s most popular low-cost airlines – Norwegian, Wizz Air and Ryanair – are between them. For up to date information check out the website of Riga International Airport. 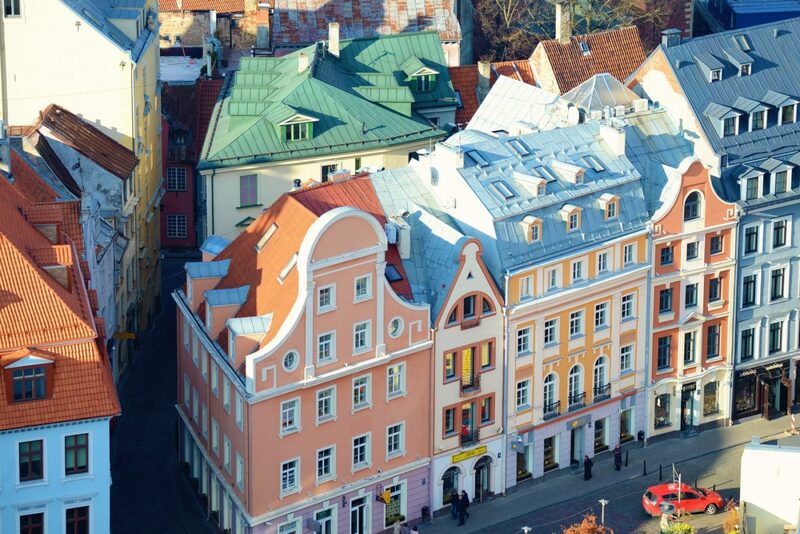 There are direct flights to Riga from most of the European countries, as well as from New York, Moscow, Tel Aviv, Abu Dhabi and few more countries outside of Europe. To find the best flight to Riga, go to momondo.com! Momondo is a travel search site, which compares deals from various sites. In the search results Momondo lets you to choose between the cheapest, quickest or overall best offers. So you can find what fits you best. Which means – if you are not a resident of the European Union most probably you will need to apply for a Schengen visa before traveling to Latvia. But there are exceptions. To see if you need to obtain a Schengen visa, check out this list. If your country is not on the list, then you don’t need a visa. If you plan to visit several Schengen countries during your trip, then, of course, you don’t need to obtain a separate Latvian visa. You can go with the visa you already have. Usually with Schengen visa you can stay in the Schengen area (see the map) for up to 90 days. There are single-entry (indicated with “1” on the visa sticker), double-entry (“02”) and multiple-entry (“MULT”) visas. Don’t forget about that! And if you have a single-entry visa plan your trip accordingly, that you don’t leave the Schengen area too early. If you are a resident of the European Union, traveling to Latvia for you will be the sames as easy and seamless as going to any other EU country. “You must lodge the application for a Schengen visa at the Consulate of the country that you intend to visit, or – if you intend to visit more than one Schengen State, the Consulate of the country where you will spend the longest period. So if you are planning to visit only Latvia or if you plan to spend most of your trip in Latvia, then you should apply for a Schengen Visa at the Consulate of Latvia. Read more about it here, on the website of Ministry of Foreign Affairs of the Republic of Latvia. There you will find all the information necessary, including what documents are required to apply for a Schengen Visa. 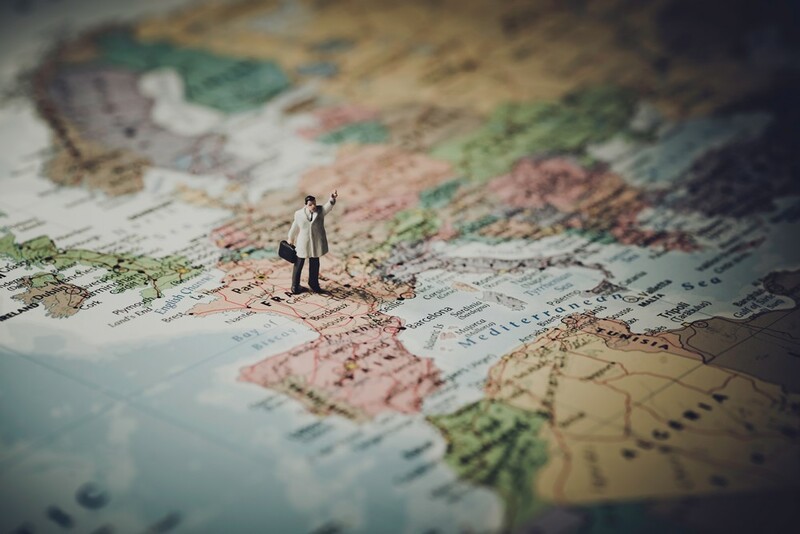 Here you can see, where in the world Latvia has diplomatic missions – to put it simply, this map will help you to understand where in your country you can apply for a Schengen visa to travel to Latvia. But here, on this list, you can see to which embassy or consulate you should go, if there is no Latvian embassy or consulate in your country. And in this situation they will help you to obtain a visa. In Riga, the capital of Latvia, you have it all – hostels, budget hotels, 5 star hotels and also plenty of nice apartments and rooms on Airbnb. Outside of Riga there are mostly budget hotels and mid-range hotels, and only a few hostels. But it doesn’t mean, that there are no good hotels outside of Riga. There are. But not that much. Another option outside of Riga is to stay at a guest house. Only downside would be, that these guest houses usually are away from cities and towns, and so you should better have a car. Check out what’s available on this site! Unfortunately not all of the information on that site is in English. To book something you will need to contact them via email, their website or Facebook page. You can get either a room or a whole house. Often there is also a sauna and a pond, lake or river near by. It’s a very popular choice among the locals. Latvians like to rent a whole house with sauna for all kind of celebrations. Either together with friends, colleagues or family. Prices: a bed in a 18-bed dorm will cost you starting from about 5 EUR per night, a bed in a 4-bed dorm – starting from about 7 EUR per night, a double room in a budget hotel – starting from about 20 EUR per night, a whole apartment close to Riga city center rented via Airbnb – starting from about 30 EUR per night. To find a hotel or a hostel in Latvia go to booking.com and Hostelworld.com. Check out also Airbnb, if you want to stay in an apartment instead and live like a local in Latvia! 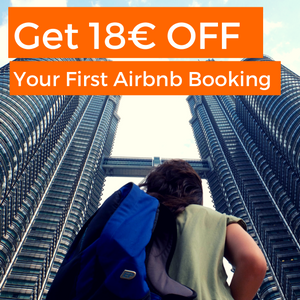 Register using my Airbnb link and you will get a discount for your booking. We’ll get a discount, too. We have been using Airbnb since 2012. 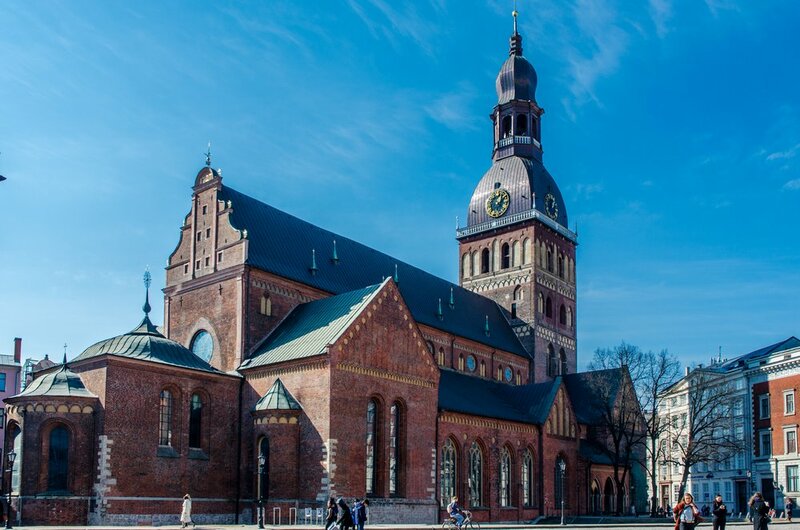 If you are traveling only to Riga, the capital of Latvia, then check out our guide to Riga! Take a bus if you don’t have a drivers licence or if you aren’t going to travel around Latvia too much. Renting a car at the same time will give you much more flexibility and freedom. If you are traveling together with someone it will also cost you less than traveling by public transport. And you will be able to reach more distant parts of Latvia, where buses and trains aren’t going that frequent. There are places where public transport goes only few times a week. As everything in Latvia when compared to most of Europe renting a car in Latvia can be also very cheap. There are also trains in Latvia, but there aren’t too many of them. You can check if there is a train going to the city where you want to get on the site of Latvian Railway company. Take advantage of it and go on that trip across Latvia! Go and see more than just Riga and Sigulda. From the far west to far east of Latvia it’s just about 400 kilometers. Rent a car in Riga and go on a road trip. Especially if it’s a snowy winter or sunny summer, when you are in Latvia. 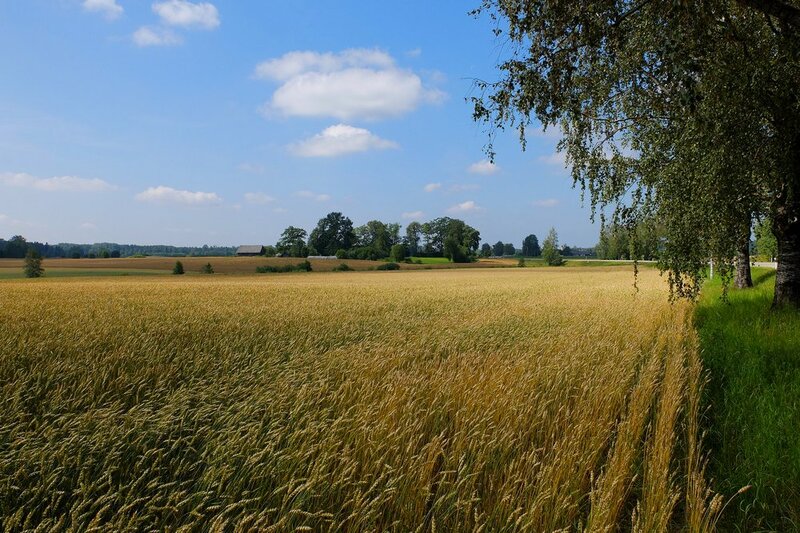 Traveling through the countryside of Latvia you will see completely different country than the one you see in Riga. 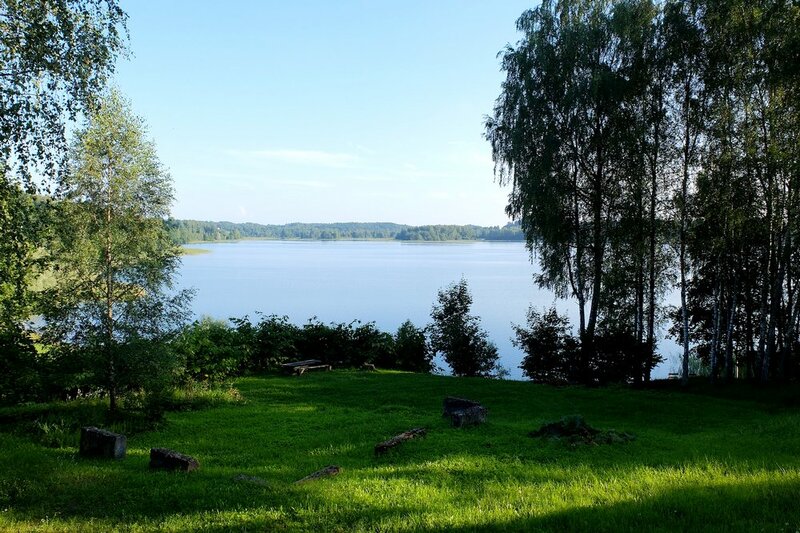 If you are traveling to Latvia in summer, I urge you to go Latgale, region in the east of Latvia, known also as a land of blue lakes. That’s the real Latvia, what you will see while driving there. You will see with your own eyes, why Latvia is called one of the greenest countries in the world. Latvia has 4 seasons – spring, summer, autumn and winter. When I was a kid, and that was almost 20 years ago, we had cold and long winters. We had snow starting from late November and until early April. But now weather has changed. It can be a lot of snow in the beginning of December, and it can be +10 C / 50 F and raining during Christmas. If you want to see snow, your best bet now would be to travel to Latvia in late January/February. Temperatures then can drop to as low as -30 C / -22 F However, if you can’t stand cold weather, visit Latvia in July. It’s the hottest month in Latvia. Temperatures then can reach +30 C / 86 F, sometimes more. Usually in summer they are lower, between + 15 C / 59 F on a cloudy day, in the evenings and in the mornings, and +25 C / 77 F on a sunny day. I recommend you to visit Latvia either in winter (late January/February), during the summer, when everything is green, or in autumn (late September/October), when leaves change their color from green to orange, yellow, red. Go to Riga for culture, history, Art Nouveau architecture and nightlife. 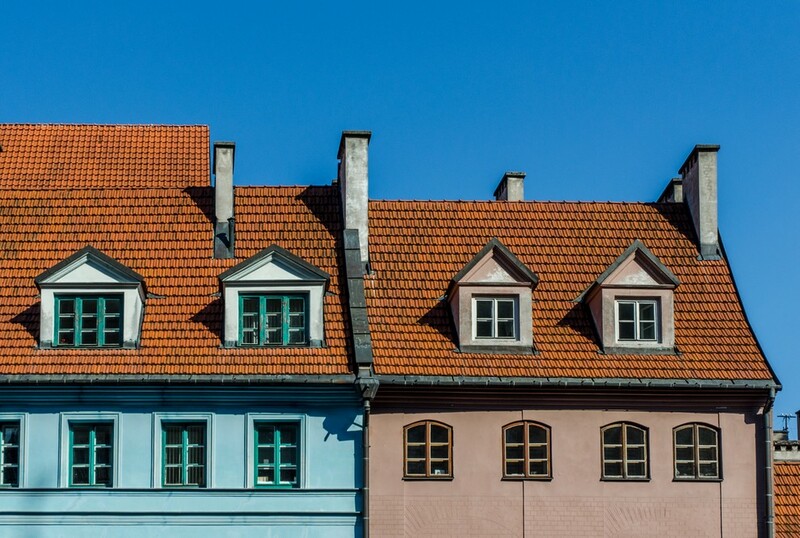 If you want to have a piece of all of it, head to old town of Riga or wander through the streets near by. Cesis, an average-sized Latvian town about 100 kilometers away from Riga, is another popular destination for those who love culture, history and architecture. Sigulda, a town 1 hour train/bus ride away from Riga, is the right place where to go for outdoor activities. Kayaking. Bungee jumping. Hiking. Mountain biking. Snowboarding and skiing during the winter. All of it and much more is possible in Sigulda. If you are into nature, camping and hiking, I have good news for you – Latvia has hundreds of kilometers of undeveloped seashore. These are mostly nice and deserted beaches, being where you will feel like Robinson Crusoe. Liepaja, Ventspils and Kuldiga are 3 of the most popular destinations on the west of Latvia, not without a reason. Liepaja and Ventspils are also among the largest cities of Latvia. Though, they aren’t really big, nor too populated. Liepaja is popular because of its cultural life. Kite-surfers love Liepaja as well. Ventspils like Liepaja is by the sea, and it’s a rather beautiful port city. The port of Ventspils is mostly used by cargo ships. Kuldiga between those three is the smallest one and, as many would say, the cutest one, too. It’s a charming town with quite a lot of well preserved old buildings. One of the Europe’s widest waterfalls is near Kuldiga. Daugavpils and Rezekne are the most popular destinations on the east of Latvia. 3 places in Rezekne that are worth the visit are – The Embassy of Latgale ‘GORS’, ‘ZEIMUĻS’ Centre of Creative Services of Eastern Latvia and Latgale Culture and History Musem. Are you looking for more things to do in Latvia? Need a guide? Check out these tours and this list of activities! Food in Latvia is rather heavy. Latvians like to eat a lot. And Latvians like to eat meat. Pork and chicken are 2 of the most popular choices. But boiled and mashed potatoes are often the side. Together with it we often eat also some vegetable salad, mostly dressed with sour cream or mayonnaise. Latvian food is not spicy at all. pork in aspic (cūkgaļas galerts). From drinks try Latvian beer, Riga Black balsam and kvass! Valmiermuiža and Brenguļu are two of the best of Latvian beers. 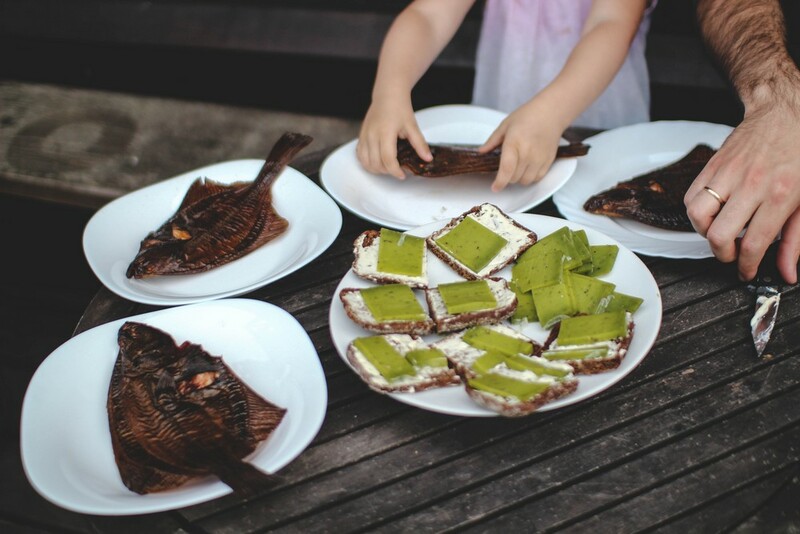 Few of the best places where to try Latvian cuisine when you are traveling to Riga include Ala Folk Club, Lido and Silkites & Dillites. They are serving mostly, if not only, Latvian dishes. So you can’t go wrong ordering just anything. If you still have some questions about traveling in Latvia, check out also our other articles about Latvia!